Many travelers wonder about the best nightlife areas in Bangkok and the truth is that there is not just one spot that is the best. The best hot spots are somewhat scattered over the city and they all offer an amazing time. This article will show you all about the best areas in Bangkok that you should be aware of. There is also a map at the end of the article to give you a better idea of the locations. The nightlife is world-famous for its entertainment options. This city never seems to sleep. If you are coming to this city for a holiday then I am almost certain you are coming in part because of Bangkok’s well-known nightlife. And If you are wondering where to have fun, after reading this article and you will know exactly where all the best hot spots are. Using the map at the end of the article you can easily see where these best nightlife locations are in relation to one another. You can really get a feel for the nightlife scene and the layout in Bangkok city. If you want to know more specifically about the red light entertainment areas, then check out the post titled Red Light Districts In Bangkok. Unlike Pattaya, that has entertainment areas that are more close to each other, Bangkok’s are more spaced out. Sometimes it can take too long to walk to them. Your best bet is to get a taxi, or take public transportation. Getting a taxi in Bangkok is super easy. There are so many of them and it is very cheap. There is also UBER and Grab Service available. Furthermore, the subway and Skytrain system in Bangkok is one of the best in the world. It is very clean, and fairly cheap to use as well. This street is considered to be a main street in Bangkok. Right on top of this street is the BTS Sytrain. Along Sukhumvit Road you can find more nightlife hot spots. Sukhumvit Road is one of city’s longest roads. Nana: Two things to know about this place: Not only is it a building complex full of beer bars, go go bars, but the whole area surrounding the building itself is one huge entertainment hot spot. The building itself is called the Nana Entertainment Plaza (NEP). It is considered to be the biggest red light district in Bangkok. Close to Nana are other alleys with more entertainment options like the Sukhumvit Soi 11 nightlife area. Asoke: About 1 km west of Nana you will see a street called Asoke. Around this intersection are more beer bars, some restaurants and Soi Cowboy. Soi Cowboy is arguably the best red light district in Bangkok. It is located between Sukhumvit Soi 21 & Sukhumvit Soi 23, next to Sukhumvit road. This place is also useful because both the subway line and the Bangkok Skytrain meet in this intersection. It is considered a major central hub of the city. It can be said that this area is one of the best places in Bangkok for nightlife fun. Phrom Phong: A bit more further down from Asoke. Not as busy as the previous two places, but still happening in terms of nightlife. Good sushi restaurants here, and more action on Sukhumvit Soi 33. It is worth mentioning that this place is also a good place to hang out in the daytime for massage action. More on this later. Thonglor: Considered an upscale nightlife spots for the wealthier Thais. Some really nice venues in this area, with dining and live music. Some of the best clubs in Bangkok are in Thonglor. Two of Bangkok’s three famous entertainment districts are on this street. 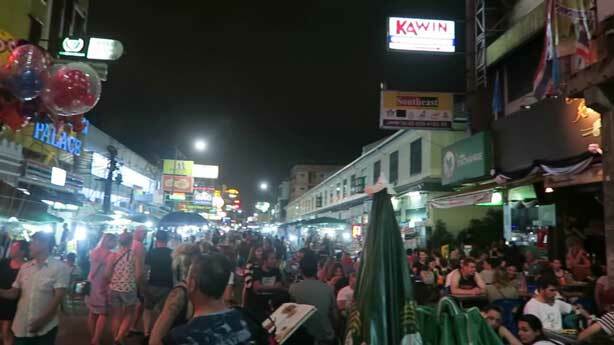 The Sukhumvit nightlife is also geared towards foreigners and is full of tourists. There are countless bars and restaurants all along this street. The nightlife here is more foreigner oriented. This is a great entertaining nightlife area to check out. 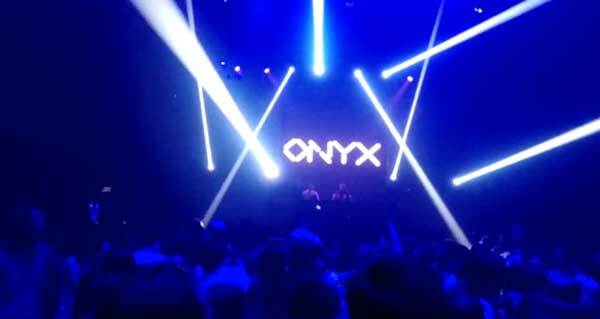 Especially if you are the party type and want to go clubbing in some of Bangkoks best clubs such as Route 66, Onyx. If you want to meet more higher class Thai women then this is the place you want to come. RCA is somewhat upscale and you will not see working girls here…at least not overtly. It is not like beach road in Pattaya. The nightlife here is a bit different from Pattaya’s “in your face” vibe. To read more about that check the article on the The Best Nightlife Hot Spots In Pattaya City. The clubs in RCA have a style code, so don’t dress like you are going to the beach. From my experience, this is also a great place in Bangkok to take a Thai girl out for a date. First have some dinner at one of the restaurants nearby, get your drink on to get the vibe going. After dinner you can hit up the clubs. Sometimes when I think of the nightlife in Khaosan in Bangkok it reminds me of the movie The Beach with Leaonardo DiCaprio. This place is the type you would read in your cliché backpackers tourist guide of Bangkok. When I’m at Khaosan I see people who I usually wouldn’t see in the other areas of the city. Unlike areas such as Sukhumvit and RCA, the crowd here is mostly backpacker varieties. You will also find younger Thai women who are infatuated with the western lifestyle and want to meet farang guys. It reminds me of my college days partying. Some people like the nightlife in Khaosan and some people don’t. Usually people who have been coming to Bangkok for quite some time don’t bother coming here too often. Personally for me it is not my cup of tea. However, I do go sometimes just to check it out, or when some girl suggests to meet with her and her friends there. It is worth mentioning that Khaosan road is just the street name. This whole area is called Khaosan. Just know that Khaosan road is where most the action is in the evening. That pretty much concludes this Bangkok nightlife guide. You should now know which areas are the best to have an amazing time here.